We travel by jeep to the Gishwati Forest Reserve, which rises majestically above the Lake Kivu, half a kilometer from the town of Gisenyi. In this virgin montane forest of 1500 hectares we make our way through difficult terrain looking for edible mushrooms that could be grown by our project partner Kigali farms. 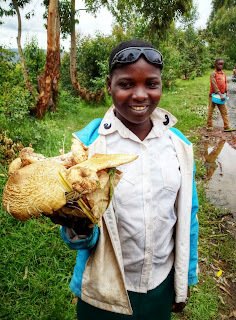 On the side of the road a young girl was selling two nice bunches of this mushroom (see photo). 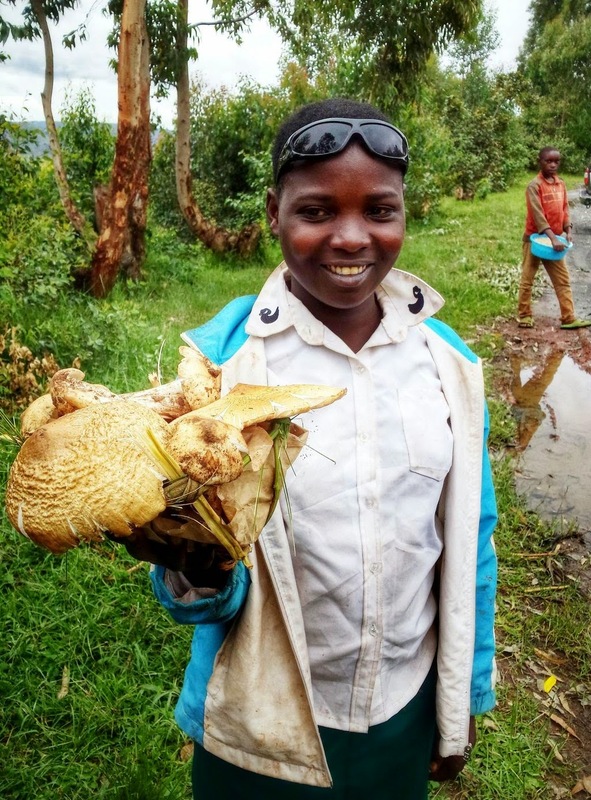 This edible mushroom, known through the whole of central Africa, is not included in our mission. This is because there is virtually no chance that it could ever be commercially grown. Why not?